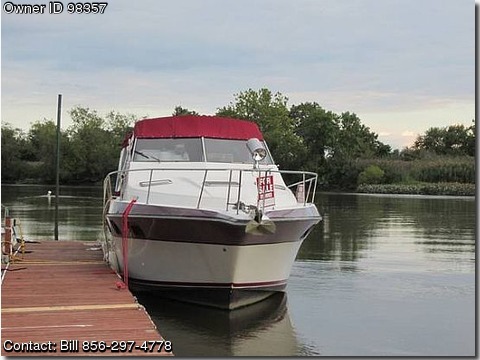 Boat is located in Bridgeport,New Jersey.Please contact the owner @ 856-297-four seven seven eight…I have for sale a 1989 3370 cruisers twin 454&#39;s not bad on fuel new top this year new seats last year lot of new parts on the boat. the boat is a turn key boat ready to go. sleep 6 people. if you have any questions contact bill. thanks for looking.